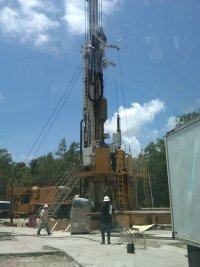 CHI-1 Floridan Aquifer Monitoring Well Project S-788R Drill, construct and test one dual zone monitoring well and four pad monitor wells. Monitor well to 1,900 feet using various steel casings strings and a final 8” casing string of Certa-lok well casing. Includes mud and reverse air drilling, well development, geophysical logging, pressure tests, coring, water sampling, containment of artesian flow, furnishing & installing wellhead and appurtenances. 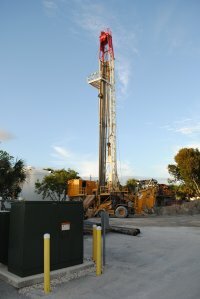 Town of Manalapan - Drill, construct and test one Floridan Aquifer Production Well No. 16 to 1,500 feet using various sizes of steel casing and 14” and 17.4” Certa-Lok. Install and grout all casings. Geophysical logging to be completed by All Webbs Enterprises, Inc.